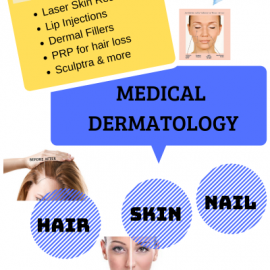 A professional and experienced dermatologist can help you provide the best treatments for skin, hair & nail. Sometimes it is confusing to choose the best dermatologist near you. Meet Dr Stuart H Kaplan M D, who is a leading dermatology specialist in the nation and an expertise in dermatology services. In addition to his private practice, Dr. Kaplan is an Assistant Clinical Professor at UCLA Medical Center, as well as an Attending Physician in Dermatologic Surgery at the West Los Angeles Veterans Hospital, for over 27 years.